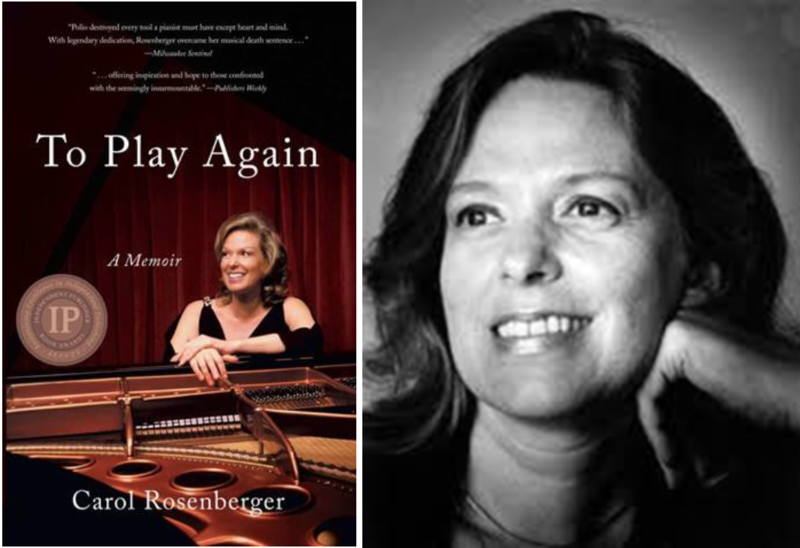 At age twenty-one, while studying music abroad, Carol Rosenberger was struck with polio resulting in paralysis of the very muscles she needed to play the piano. Despite a dismal prognosis, Carol struggled to retool her neural pathways and restore her ability to play again. She not only regained her musical life, but emerged as an incredible pianist and recording artist. She tells her story in To Play Again, a Memoir of Musical Survival, just nominated for a May Sarton Women’s Book Award. Carol joins Suzanne M. Lang in conversation. It’s A Novel Idea. A Novel Idea airs on the first Sunday of every month on KRCB-FM Radio 91 / streaming @ norcalpublicmedia.org / Comcast Cable channel 961 all over the Bay Area / the FREE KRCB App @ iTunes & Google Play!